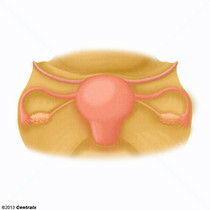 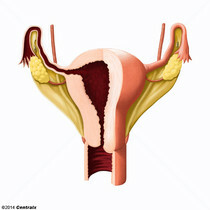 A broad fold of peritoneum that extends from the side of the uterus to the wall of the pelvis. 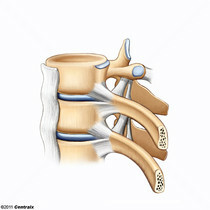 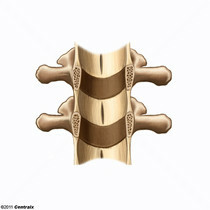 The paired bands of yellow elastic tissue that connect adjoining laminae of the vertebrae. 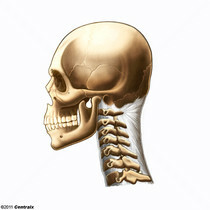 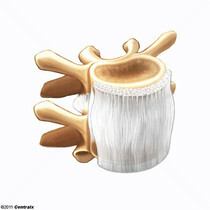 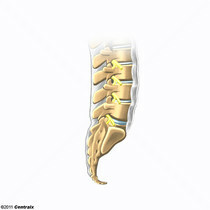 With the laminae, it forms the posterior wall of the spinal canal and helps hold the body erect. 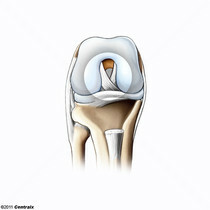 A strong ligament of the knee that originates from the posteromedial portion of the lateral condyle of the femur, passes anteriorly and inferiorly between the condyles, and attaches to the depression in front of the intercondylar eminence of the tibia. 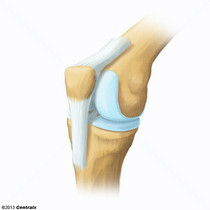 A strong ligament of the knee that originates from the anterolateral surface of the medial condyle of the femur, passes posteriorly and inferiorly between the condyles, and attaches to the posterior intercondylar area of the tibia. 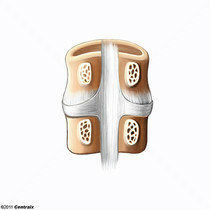 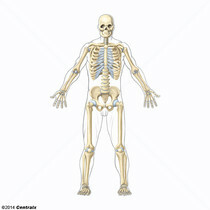 A band of fibrous tissue that attaches the apex of the PATELLA to the lower part of the tubercle of the TIBIA. 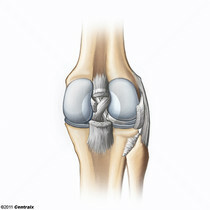 The ligament is actually the caudal continuation of the common tendon of the QUADRICEPS FEMORIS. The patella is embedded in that tendon. 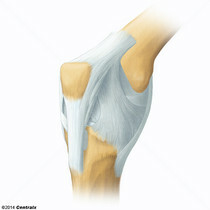 As such, the patellar ligament can be thought of as connecting the quadriceps femoris tendon to the tibia, and therefore it is sometimes called the patellar tendon. 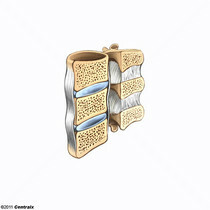 A fibromuscular band that attaches to the UTERUS and then passes along the BROAD LIGAMENT, out through the INGUINAL RING, and into the labium majus.